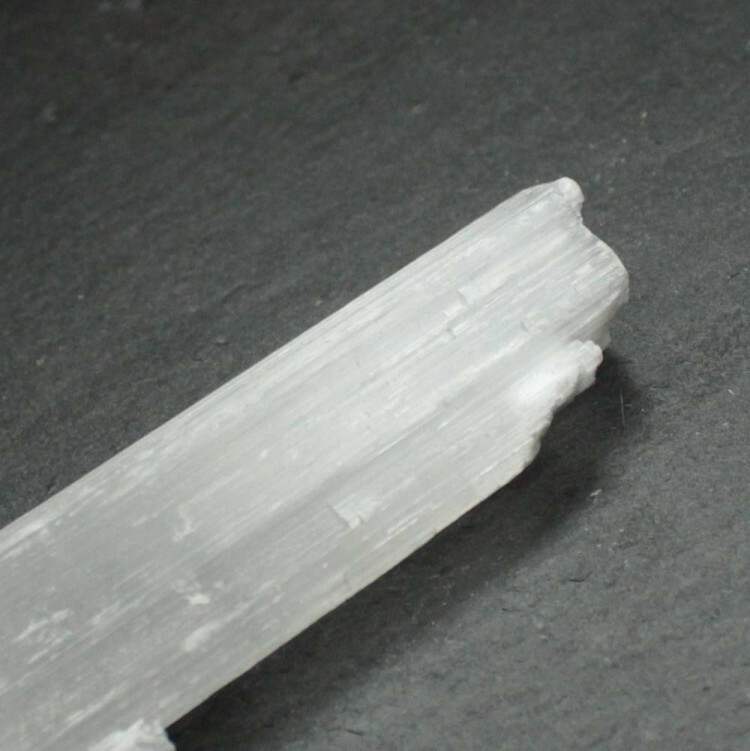 We sell single pieces of rough Selenite, available in a few different sizes. 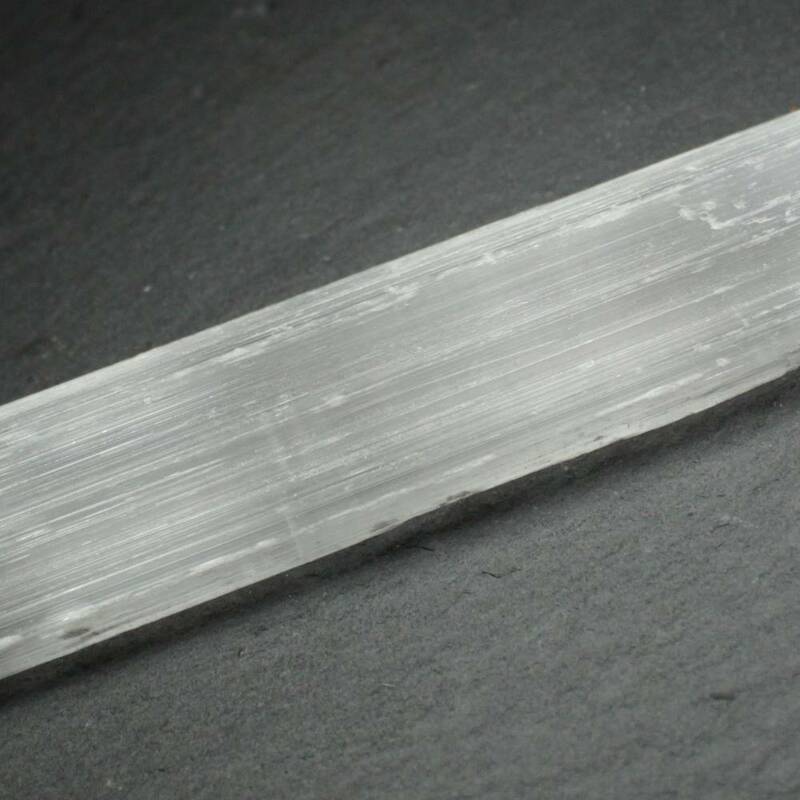 Lovely rough Selenite sticks, available in a range of different sizes. Selenite is very popular with crystal healers to cleanse and recharge their crystals. Lapidarists and beginner lapidarists like it because it is very soft and easy to work with – although inhalation is a risk factor. We sell these rough natural pieces in a range of sizes – both in single pieces and by the kilogram bag. One exception is the largest piece we sell, 250-400MM – as a single piece usually weighs around a kilogram anyway. 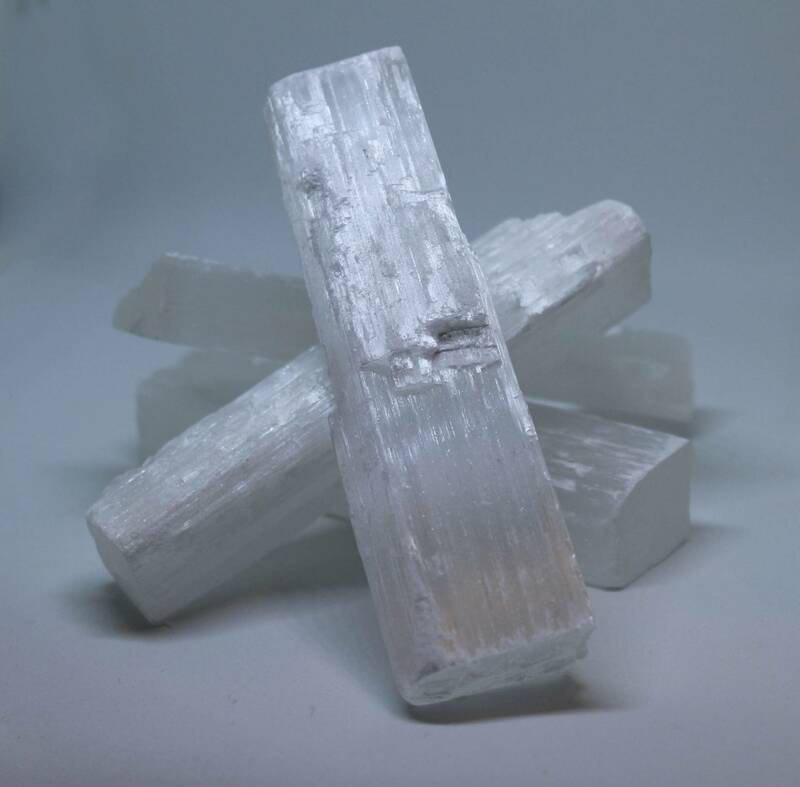 For more information about Selenite, and a full list of all of our related products, have a look at our ‘Selenite’ page.